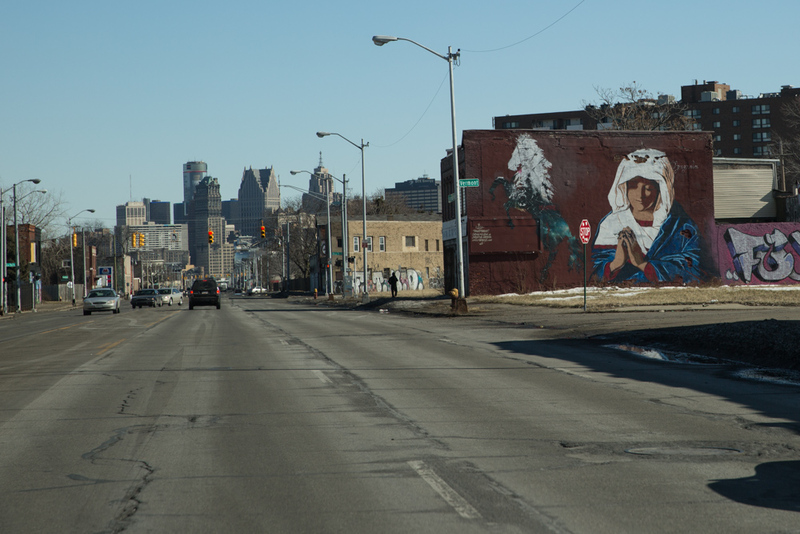 Grand River Creative Corridor (#GRCC) is an art corridor and neighbourhood revitalization project concentrated on Grand River Avenue between Rosa Parks Boulevard and Warren Avenue in Detroit, Michigan. 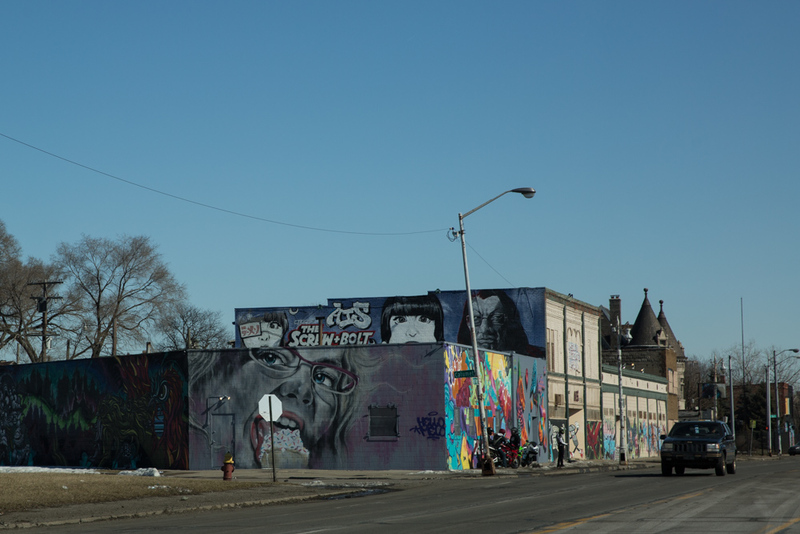 It hosts a number of commissioned urban art works painted on buildings and walls, including those of Sintex, Dustin Spagnola and Detroiter HelloMelo’s Girl eating an ice cream (Melo). Spearheaded by Derek Weaver of 3731 Gallery in 2011, the project is a product of many volunteer artists, from Detroit and around the world. 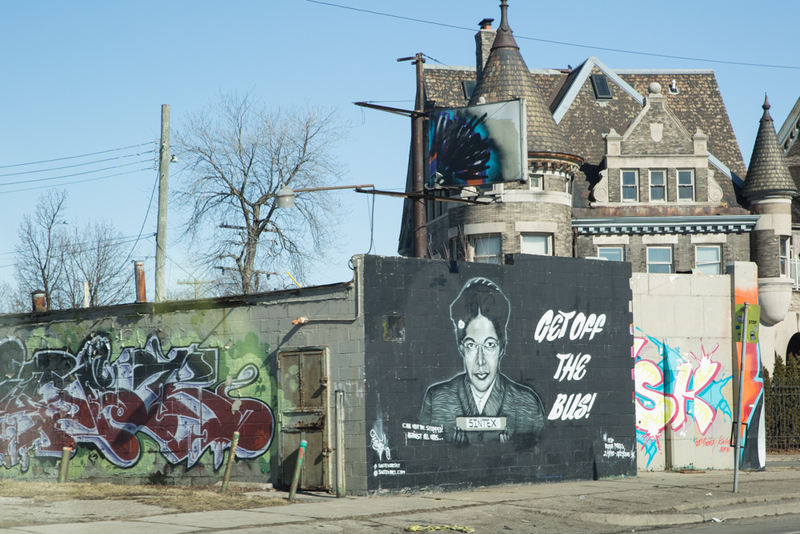 Collectively, they are working towards the transformation of Detroit’s infamous Grand River Avenue into a creative hub that is attractive to tourists, artists, small businesses, entrepreneurs, and investors. Mural by Sintex, Grand River Creative Corridor, Detroit. Grand River Creative Corridor is best visited by vehicle and is located between Rosa Parks Boulevard and Warren Avenue.